(Los Angeles, CA) Long Beach based trio half•alive drop their new track “arrow” along with a video directed by lead vocalist Josh Taylor today. “arrow” is available at all digital retails providers now via RCA Records. Josh Taylor [vocals], Brett Kramer [drums], and J Tyler Johnson [bass]. Additionally half•alive is set to embark on their sold out first-ever headlining tour later this month and will be performing this summer at Firefly Music Festival in Delaware along with other festival dates TBA soon. “arrow” is the first new release for half•alive since catapulting into the zeitgeist with their massive viral 2018 breakout “still feel.” Powered by a slick beat, handclaps, warbling bass, wild horns, shimmering keys, and an ecstatic falsetto-inflected chant, “I still feel a•live,” it became a clarion call for the boys—oddly perfect for either a midsummer festival or a dance sequence from Pulp Fiction. Bringing the song to life, Josh drew on his film school background and self-directed an impressively choreographed video evoking vintage pops of color and the kind of throwback seventies spirit. The video organically attracted shares among fans as views surpassed the 10 million mark within two months. The music of half•alive breathes, evolves, grows, and changes alongside the lives of the Long Beach trio—Josh Taylor [vocals], Brett Kramer [drums], and J Tyler Johnson [bass]. Encompassing R&B, funk, pop, rock, soul, and more under a glow of disco ball bliss, the experience iterates in a fresh form every time. 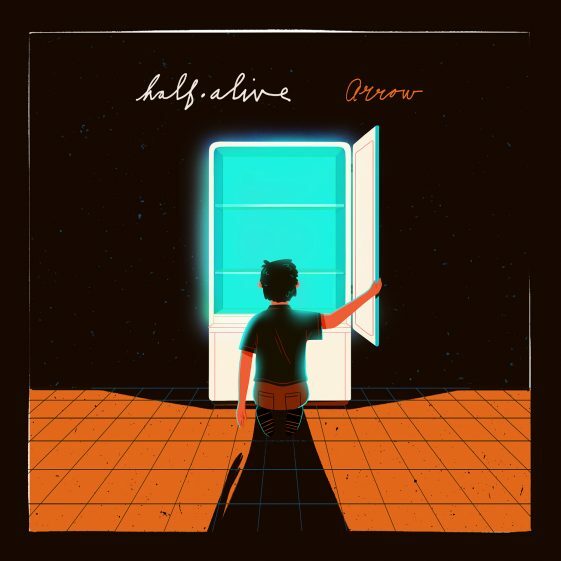 half•alive officially came to life on the 2017 3 EP, which sparked a palpable buzz on the strength of “The Fall” and “Aawake At Night”. Over the course of the next year, they crafted what became the 2018 breakout “still feel.” The video organically surpassed the 10 million mark within two months as the song garnered acclaim from NPR’s coveted “All Songs Considered” and more. “still feel.” took off, and the band’s profile burgeoned as they inked a deal with RCA Records to help grow their vision. Launching 2019 with a bang, the trio sold out their formal debut headline tour and plotted more music for release soon.